Cosmic intervention is activating upgrades for humanity on a cellular level. Coupled with the goddess Gaia’s mission of ascension we are being re-calibrated from the inside out. Micro to macro and back again. The elite warlords and corporate kingpins are in overdrive. 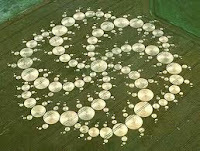 Their mission is to keep humanity and our planet entrenched in dense energies. Fear is their weapon and their goal. The sun is raising the energies with vast pulsating waves of solar light. His fiery temperament enraged by the abuses of the feminine by those misusing divine masculinity for lower dimensional power. He is illuminating the darkness with pulses of solar photonic light. The Sun has joined forces with Gaia to assist in her ascension. All of this is creating energetic maelstrom on planet earth. We are at a tipping point, caught in a great clash of opposing frequencies. Events are being engineered to keep us in depths of doom, depression, despair and hopelessness. Individuals stir up fury and fear. Service to self souls are triggered in the darkest recesses of their beings, unleashing hate in a sea of entitlement. Those who are awake see everything and it is weighing heavy on our hearts. As high frequencies permeate planet earth’s atmosphere, the matrix responds by dragging us down into a mire of chemically modified, dark magic density. This depression of frequencies generates low vibrational wavelengths. Our cellular vibration is the target, ground zero. As each new wave washes over and through us our systems require a reboot to enable us to integrate upgrades. We are being offered the chance to release heavy karma and lighten our energetic beings. We experience these upgrades in our mind, body and soul. We may not be conscious of some and painfully aware of others. We may find that once, we knew everything, and now, we know nothing but our beating hearts and our awakening minds. We may experience strange and unusual events. Synchronicities; numbers speaking to us and nature communing with us. We See, where before we manufactured our narrative to conform, compete and comply, or we accepted the identity given to us at birth, dictated by geography, gender, religion and economic circumstance. All of which are engineered to keep us down. The elite are only the elite if they have the masses to hold them up, worship them and do as they are told. Waking up politically is often the first step to spiritual awakening. 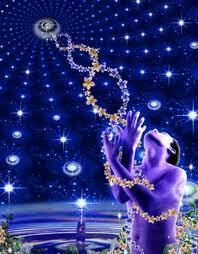 Our awakening, triggered by DNA upgrades ready and waiting for activation, is written in the stars. Growth, transformation, transition to higher vibratory fields is a two way process. We are triggered cosmically, it is up to us to follow through on activation and integration. Learning to spot the signs of upgrades empowers us to manage our recalibration. Our bodies take the full force of energetic chaos around us and within us. As we karmically lighten we experience physical manifestation of this energetic transformation. Aches pains, heaviness of limbs, cramping in stomach and lower back, tremors throughout our body, nausea, ears popping, sinus issues, blurry vision, tiredness, clumsiness and dizziness can all be experienced. We are transforming from low vibratory beings to lighter beings. We become flexible, agile, supple and mercurial. Our minds can be overloaded with despair, crashing into the depths of depression. We can have an aversion to people and places, seeking solace in solitude. Our overactive, overly stimulated egos (matrix mouthpieces) work hard to keep us down. We can feel slow, foggy, disoriented, spaced and tripped out. We can lack focus, motivation or clarity of thought. Avoid making big decisions at this time and stress less about smaller decisions. The energies will fluctuate, this will pass and we will feel re-energized and able to achieve all we want. Allow low tides, don’t fight against the waves instead surrender to them. Minimize and simplify days, de-clutter and streamline your life. Meditate. Use mantras to reset our cellular vibration to positivity, retraining our manipulated egos to algorithms of love, gratitude and compassion. Spiritually the choice is stark; to stay or go, to remain fixed, locked down in the matrix or expand our consciousness? All bets are off now. Each individual makes their own decisions. the Exits are well lit; as is the Path to higher dimensions. Spiritual growth is the arc of our grand journey, gifted to us by creators and lit in Divinity. To slow down is to improve self care. We release karma in talk, meditation, yoga, dance, holistic healing, tears and laughter. We realign in higher vibratory fields with compassion and gratitude. We lighten our beings with constructive, calm, caring living. We consciously raise our vibrations in the face of fear. We connect and expand our heart chakras despite the matrix programming us to lock love down. We realize we are co creators. We seek inner peace, wisdom and self knowledge in meditation and mindfulness. Our whole being is reacting to upgrades activated by cosmic intervention, whilst simultaneously taking the blows of matrix induced trauma. We store pain, fear and grief in our bodies; we don’t realize this. We are experiencing Post Traumatic Stress Disorder on a global scale. The have-nots suffer at the hands of Presidents, Prime Ministers and Princes determined to plague the world with their power. The compassionate struggle with survivors guilt. We see the violence, fear and abuses in engineered poverty and war. We feel devastated in our helplessness. Fear, greed, stress, envy, hate and anger are negative emotional energies. They create dense, sticky karmic fields that swamp our world in darkness. It is our Light that illuminates the Way. Not an external source, the Light is inside us. We find it in loving vibrations. Fourth dimension activity is in overdrive. Negative entities clamor for attention. Lost souls sense a shift in the realities, they seek help to find the light. Demonic souls cling with cold claws to the third dimension, desperate not to lose the guilty pleasures of the matrix on the material plane. There is turmoil throughout the third and fourth dimensions as the Shift affects all. The cabal worship dark deities of war, depravity and destruction. They seek power over all. When we make a deal with the devil we must make him an offering. Blood sacrifice, sexual depravity and black rituals create space for fourth dimension entities to possess humans on the material plane for mutual gain. The intricacies of the elite’s relationship with the fourth dimension is sinister and scary. We see evidence of their relationship in the fashion, music, movie, marketing and mainstream media. Ritualistic abuse of human rights is endemic to a ruling class whose very survival requires it. Upgrades open our eyes to all this and more. Spirit animals and guides are making appearances for people, enabled by the thinning veils. Strange experiences with animals, magical moments caught in time, a connection between us and the natural world. Insects may behave oddly around us. Nature interacts with us in a way we may never have experienced. Guides appear to nudge us towards the best path. To reassure us. To fill us with a sense of magic and wonder. Others who are navigating the heady heights of meditation may be hearing their guides. Distinct voices offering insight, hope, guidance and love. We are left to ponder the mysticism of these encounters. We feel tiny flames ignite our spiritual being. We are coming to a huge juncture of cosmic timelines. What we do, where we go depends on our cellular vibrations. 'Take me beyond' may be the cry of many woke souls. Even with recognition of love and beauty in our lives, the darkness is edging in, taking over our energy fields, polluting our hearts and minds and thus our soul. Going with the flow is harder to do than it sounds. We clear stress static, release matrix pressures and open our minds to uncomfortable truths to realign in authenticity. When we are aligned in the love vibration we are able to sense our path; to approach our lives with fearless commitment. We tune up to higher vibrations, integrating upgrades and expanding our consciousness. Let go of persistent negative programming and bathe in Cosmic Light. 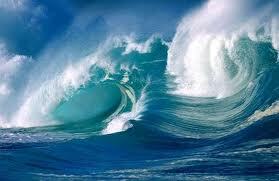 We are all surfing an ocean of energetic upheaval. Find your center, stay balanced and ride Zen waves to freedom and sovereignty. In Light and Love beautiful people. I am having a calm day. I am protected at all times in love vibration. I choose love and release fear.